What is the Virtual Shop? Who can use the Virtual Shop? What are the distinctions between memberships? How can I access the VS? How many avatars can I create with VS? I'm a VIP member. Can I upload my own photo? How? Can I edit my uploaded photo with the Virtual Shop? I have reached the maximum allowed avatars' number (5). What can I do to create one more avatar? I have more than one saved avatar. How can I switch between them? How can I switch between avatars while playing? How to save my new avatar? How to create my own avatar? How to add an accessory to the avatar? How to delete an accessory from the avatar? Can I have two or more accessories of the same type? What is the Resize Object field? How to change the color of an accessory? What currency do I use to purchase accessories or a preset Avatar my avatar? Q: What is the Virtual Shop? A: The Virtual Shop (VS) is an advanced avatar creation system. The VS allows you to easily create your own unique avatar or upload a real photo. You will be able to customize all the parts of the human face: hair, eyes, nose, lips, etc and other elements which you can add like glasses, earrings, necklaces, hats etc. Q: Who can use the Virtual Shop? A: The full set of Avatars is available for all the players (Free, Premium and VIP). But each type of membership has its benefits in what concerns the Virtual Shop. There is a certain discount available to various types of memberships. Q: What are the distinctions between memberships? Free avatar slot with up to 7 free accessories! Up to 5 slots to save your avatars! The lowest prices on all avatars and accessories! Two avatar slots with 7 free accessories each! Can save up to 5 avatars! Can upload his own personal image as an avatar! Q: How can I access VS? A: The Virtual Shop is available by clicking the Virtual Shot button in the My Info menu from the Information tab or the My Account menu. Q: How many avatars can I create with VS? A: You'll be able to create and save up to 5 avatars. They include avatars created with VS and your uploaded images. Q: I'm a VIP member. Can I upload my own photo? How? Select slot where to save your uploaded image. Note: Make sure that the image is 300 Kbytes or less. Q: Can I edit my uploaded photo with the Virtual Shop? A: No, the uploaded images are nor editable. You can edit only the avatars created with the VS.
Q: I have reached the maximum allowed avatars' number (5). What can I do to create one more avatar? Click the Manage Avatars button. Select avatar you want to delete. Q: I have more than one saved avatar. How can I switch between them? 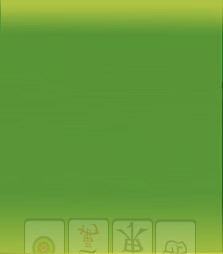 The Currently used (default) avatar is highlighted. Select any avatar you want to use. Click the Set Default button. Q: How can I switch between avatars while playing? A: If you are in a game, click on the icon with your avatar. You'll see a drop down menu with two options: User Info and Manage Avatars. Click Manage Avatars to open the Manage Avatar window, select a saved avatar and click the Set Default button. Q: How to save my new avatar? A: If you have created a new avatar - click the Save button, located on the upper left. Your avatar will be saved to an available slot. If you wish to save the avatar on a certain slot - just make sure to select that slot in the Avatar. Q: How to create my own avatar? Click the Virtual Shop button located in My Info from the Information tab or the My Account menu on the top left. The Virtual Shop will open. Click the New button located on the left. Double-click the Character you would like to customize or just drag and drop it onto the customization area. After you have selected the Character you are ready to change all the parts of the avatar. Q: How to add an accessory to the avatar? A: Select the type of accessory you want to add and then click on the element you chose or just drag and drop it onto the customization area. Q: How to delete an accessory from the avatar? A: First select an element you want to delete then click the Delete button on the keyboard or use the Delete element button located in the upper part of the avatar area. Q: Can I have two or more accessories of the same type? A: No, only one accessory of one type can be placed on the avatar. If you add an accessory of the same type, the old one will be replaced with the new one. Q: What is the Resize Object field? A: With this field you can stretch and squeeze any concrete elements of the avatar. For ex. make lips thinner or thicker. The field is located in the middle left of the screen. Move the indicator in the field to a suitable position. Q: How to change the color of an accessory? A: Each element in the VS can have up to 3 colors. To change the color, select your element. You'll see the colored buttons in the middle left, below the Resize Object field. Click the colored button to change its color. The Color Palette will open. Select your preferred color from the Color Palette then click on Ok.
Q: What currency do I use to purchase accessories or an Avatar? A: Golden Coins are used as currency in the VS. Each element and character has its price. Members have significant discounts and benefits in the Virtual Shop.